this photo was taken as I was reading a poem scott (the groom) wrote about his bride to be and sent to me some years ago. 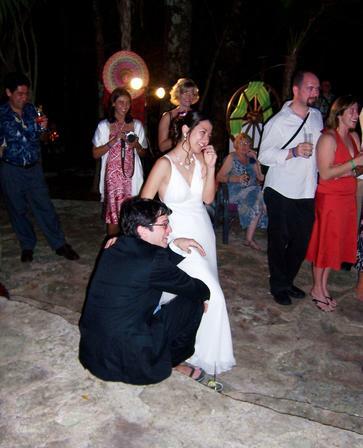 He later told me that he was so humiliated that for several hours afterward he forgot that he had just gotten married. Your body pressed close againt mine.